This Couple Takes Twinning To A Whole New Level At Their Wedding. It was a pair of twins marrying another pair of twins, officiated by twin priests with twin flower girls and page boys. 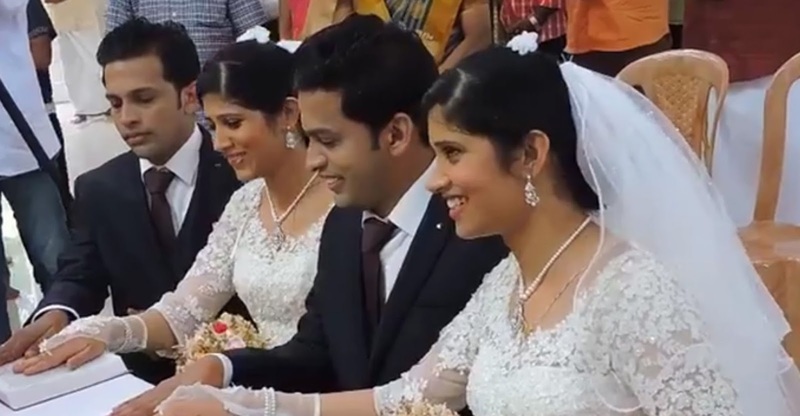 The twin brothers, named Dilraj and Dilkar, officially married twin sisters Reema and Reena at St. Xavier’s Church. Who would have thought you could find a pair of twin priests to officiate a wedding for you? To stretch the limits of twinimation, they added in a couple extra pairs. The only thing I can think of when I look at something like this, is that there’s no way I could tell any of them apart!